Dracula and his son Ferdinand are forced to flee Transylvania after the communists come to power and lay claim to their castle. 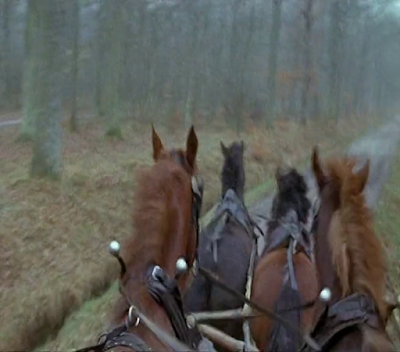 Fleeing to the west they are separated, Dracula winding up in London and Ferdinand in Paris. They are then reuinited when Dracula goes to Paris to work on a film. It is, of course, a horror film, its star having established himself as an actor whose gimmick, as far as the public are concerned, is that he believes himself to be a vampire. Initially father and son are happy to be reunited, but then come into conflict over a woman who just happens to be the spitting image of one of Dracula's brides – the one who was Ferdinand's mother! As is well known, Christopher Lee was reluctant to reprise his career-making role as Dracula (1958) for Hammer, apparently fearing that he could become typecast in the role as the previous generation's Dracula, Bela Lugosi, had been. 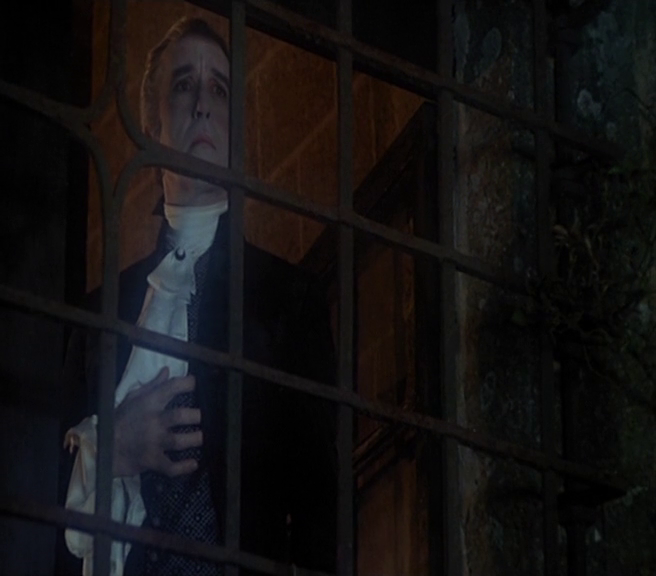 What is less well known is that Lee quite happily traded upon his star persona in Italian productions such as the spoof Hard Times for Vampires (1959) and the Carmilla adaptation Crypt of the Vampire (1964) before his eventual return to Hammer and Dracula for Dracula Prince of Darkness (1965). As is well known, Lee thereafter reprised the role for Hammer, but with increasing unhappiness at the conditions under which he was working. Eventually he refused to re-appear as the character following The Satanic Rites of Dracula (1973), thus compelling forcing the studio to find another actor to play the role in The Legend of the Seven Golden Vampires (1974). What is less well known is that he again played Dracula - here. 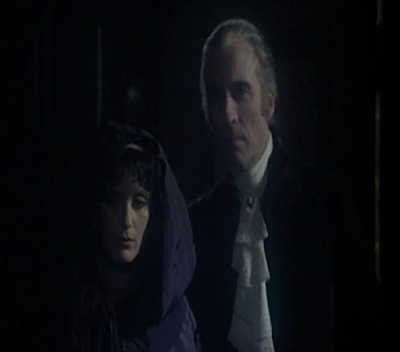 Some of Dracula and Son's gags recall earlier horror comedies, as with some invisible in the mirror scenes reminiscent of Dance of the Vampires (1968), along with the deployment of a hammer and sickle as a crucifix in the manner of The She Beast (1966) during the Blood for Dracula (1974) recalling eviction scene. In addition plenty of further laughs come from the way the film-makers explore the vampires' plight in the modern world, as with Ferdinand's needing to find a job where he is on a constant night shift and general reluctance to feed upon living human victims resulting in frequent stomach rumbling and failed attempts at raiding a hospital blood bank, working at a slaughterhouse and suchlike. Lee's playing with his image is also a lot of fun, as is the all-in oedipal conflict between the two Draculas, while the early scenes set a couple of hundred years back prove surprisingly evocative as straight gothic romance, replete with fearful coach drivers, a creepy castle and the like. 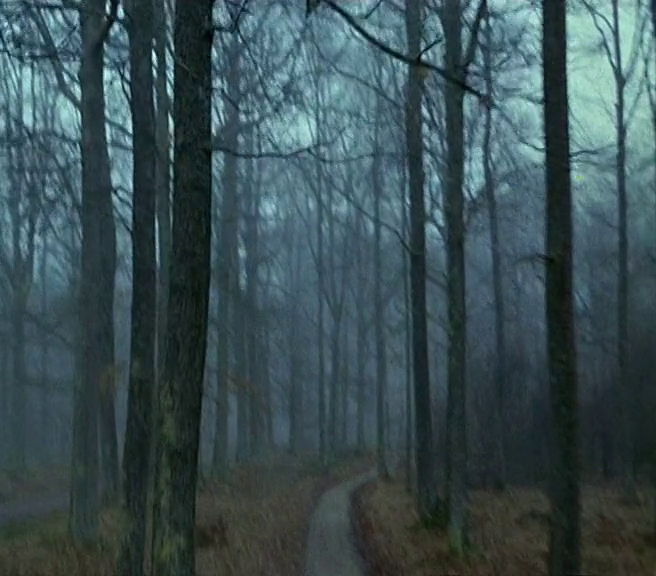 Probably not Black Park, but certainly evocative of it. Fans of French arthouse fare may care to note that Fat Girl director Catherine Breillat and her sister Marie Helene appear as the Draculas' love interests, making one wish that they had worked with Jean Rollin in the manner of the Catherine and Pony Castel, to further round out that familiar art/trash circuit. I watched Dracula and Son, whose dialogue is a mixture of English, French and Romanian, in a German edition. This in itself was of interest when it came to the credits, in that these credited not only the performers but also their German dubbing voices. This film long deserved a proper DVD release in North America.